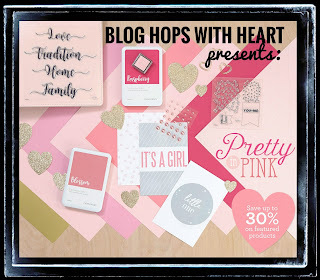 Welcome to the Blog Hops with Heart Pretty in Pink hop! You might be arriving here from BECCA's blog. 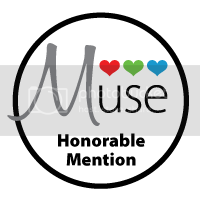 You'll find a full list of participating blogs at the bottom of this post. I chose all of my pink papers from the new Gimme some Sugar line. I love all these soft pink florals! I combined my pretty papers with an Avery Elle heart wreath die that I cut twice, once in Bashful glitter paper so I could trim out the hearts and make them sparkle. I was inspired by this week's Fusion Card Challenge. 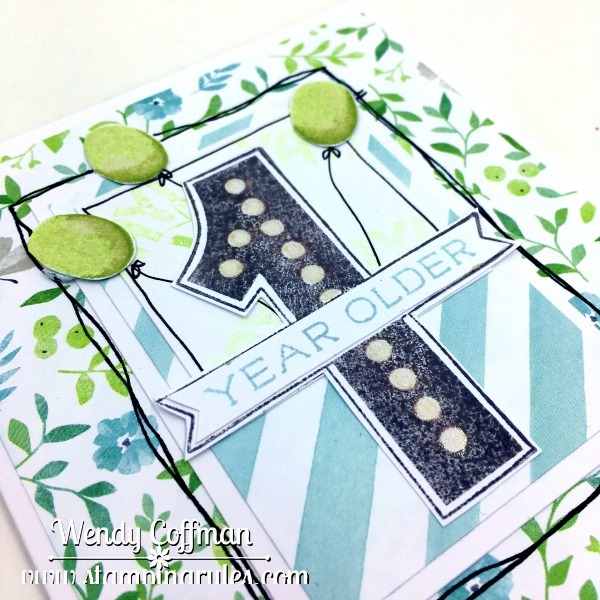 Again, I cut the flowers and leaves directly from the patterned paper and layered them onto the card. 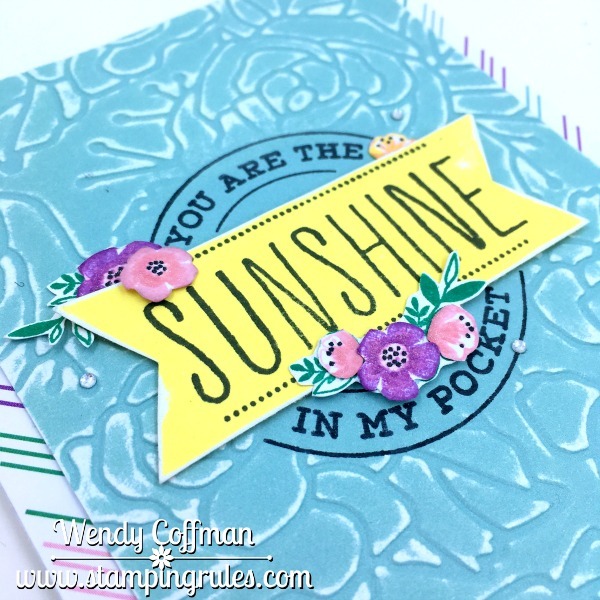 I added some touches of Liquid Glass to the flower centers and the heart border. Finally I adhered a sprinkling of pink seed beads which photographed kind of neon pink but in real life are shiny and opalescent. If you love pink as much as I do, don't miss this month's Pretty in Pink special or today's special Flash Sale starting at 2 PM! Next up on the hop is KATY's blog. Make sure you check out the whole hop - I'm sure you'll be tickled pink by what you find! Over the weekend I got to borrow one of the new Hostess only stamp sets from the new Expressions idea book. My sweet friend Carolyn let me ink up her new set, and I paired it with some sweet Gimme Some Sugar papers. 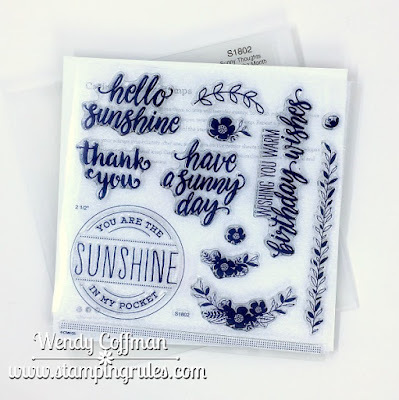 I stamped each envelope onto various patterned papers from the Gimme Some Sugar line. How yummy is that woodgrain? I was working from this week's sketch over at CAS(E) this Sketch. 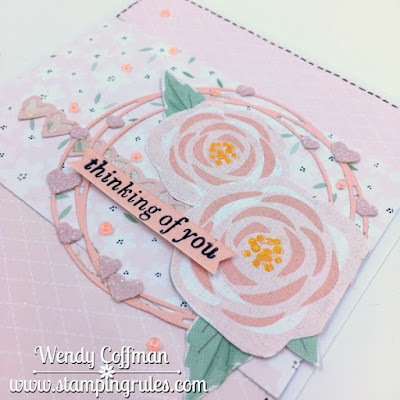 I hadn't brought enough stamps with me last weekend, so instead I fussy cut roses and leaves from one of the patterns in Gimme Some Sugar - all the pretty flowers with none of the work! 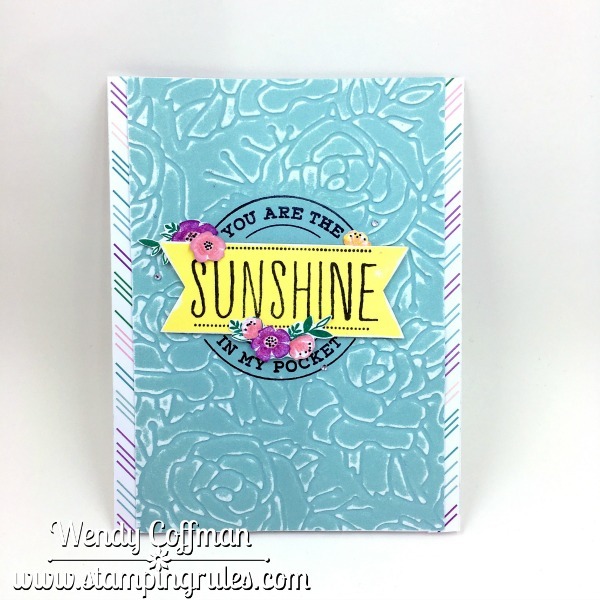 Hope you enjoyed this happy mail, Stampin' Friends! 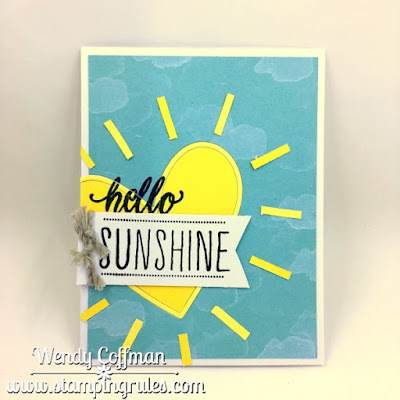 Good morning, Stampin' Friends! I'm just back from a few days at the beach with some of my favorite crafty crew, and it felt wonderful to laugh, snack, and craft with those fabulous ladies. 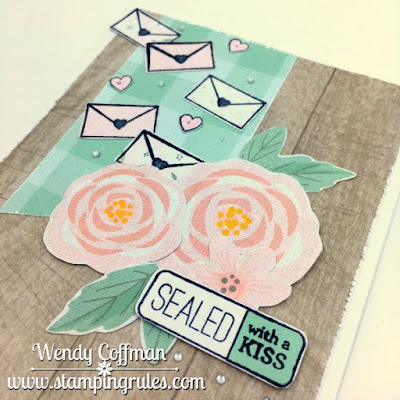 One of the projects I completed was a little sneak peek of the March Stamp of the Month for this week's Atlantic Hearts Sketch Challenge! 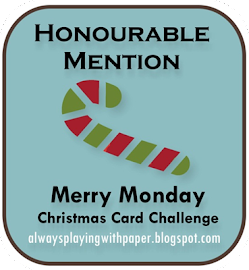 I'm also linking up to this week's Seize the Birthday Challenge. March's Stamp of the Month is a cheerful mix of birthday themed sentiments...but I wanted to contract those images with the super gorgeous florals from Chelsea Gardens. This kit has been my favorite of the current Expression idea book. 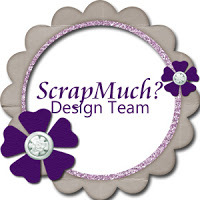 It's been so uber popular that the coordinating embellies are only available in the KIT now, so if you've been waiting on this line, now's the time! 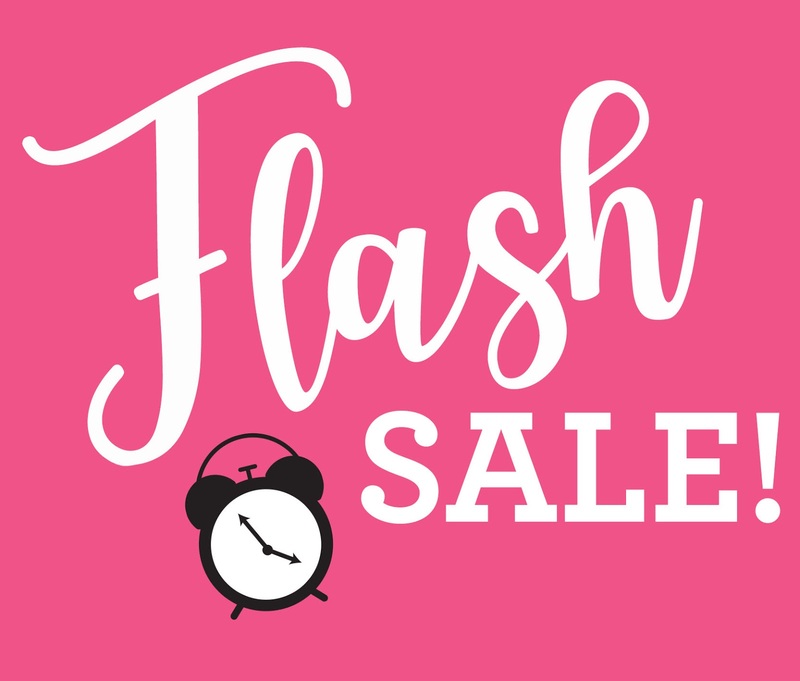 CTMH has a pretty great deal going this month (while supplies lat) if you love PINK as much as I do! It's hard to see here but I stamped the background of the white square with second generation Sweet Leaf ink using the YAY! image. 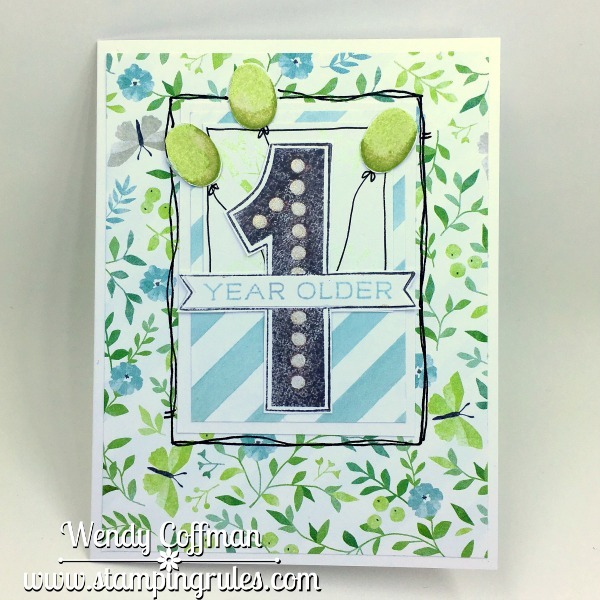 This stamp set is mostly sentiments, and I needed a festive IMAGE, so I flipped the zero stamp (it comes with these adorable outline number images to customize it for birthday ages) and stamped the back of that image to create my balloons. Both the balloons and the dots on the "1" are painted with Gold shimmer pen, so there's a nice sparkle in real life, too. I added a little hand drawn border around the main card element with a journaling pen to help it pop against that lovely floral background. MY giveaway to celebrate the 250th sketch over at Atlantic Hearts Sketch Challenge is finally over (sorry for my technical difficulties!) and the winner is SUE D! I've already emailed her so she can claim her very own adorable February Stamp of the Month. Thanks for stopping by! 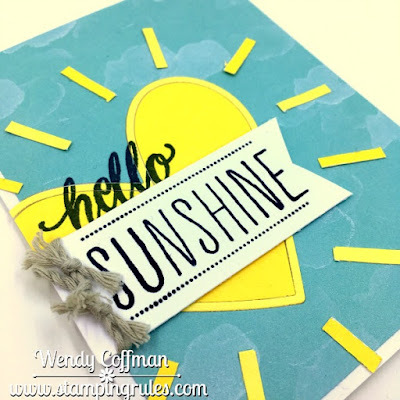 Good morning, Stampin' Friends! 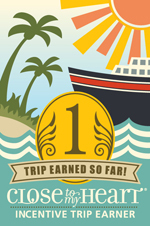 I got a little busy this week and was worried that I hadn't chosen a winner for last week's drawing yet...and then I realized that I set the Rafflecopter incorrectly, so the drawing doesn't end until the 19th. so if you haven't entered yet, check out the drawing entry form HERE. Today I'm sharing a new February Stamp of the Month card. 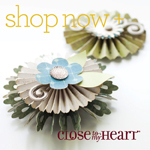 I took a card front of Glacier Cardstock and die cut an outline heart thin cuts die. 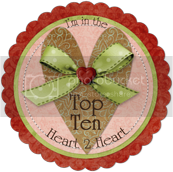 I cut the same heart twice more in Canary Cardstock, once on each side of the double sided cardstock so I could flip the inside and have the outline be more present when I filled in the card front die cut space. I filled the Glacier CS base with a heart outline and the inner heart, then trimmed off the excess heart diecut from the left side of the card. Then I flipped over a small floral cluster stamp to use the BACK side as a cloud shape, stamping that all over the Glacier Cardstock in White Daisy ink. 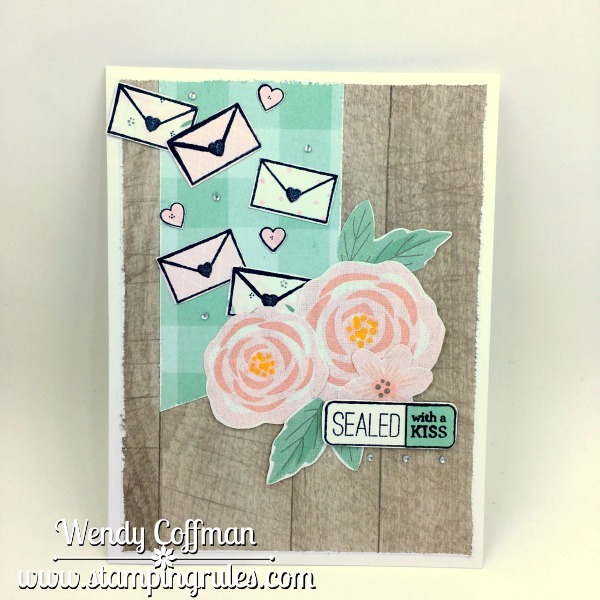 I stamped the HELLO sentiment in Memento Tuxedo Black ink across the die cut hearts before adding a banner made with my surgically altered circle sentiment image. 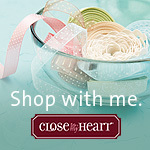 The banner is popped up with thin foam tape and knotted twice with thick Gray Twine that I frayed after trimming. I cut a 1/8" strip of Canary Cardstock and snipped off bits to make the sunshine rays surrounding my die cut heart. 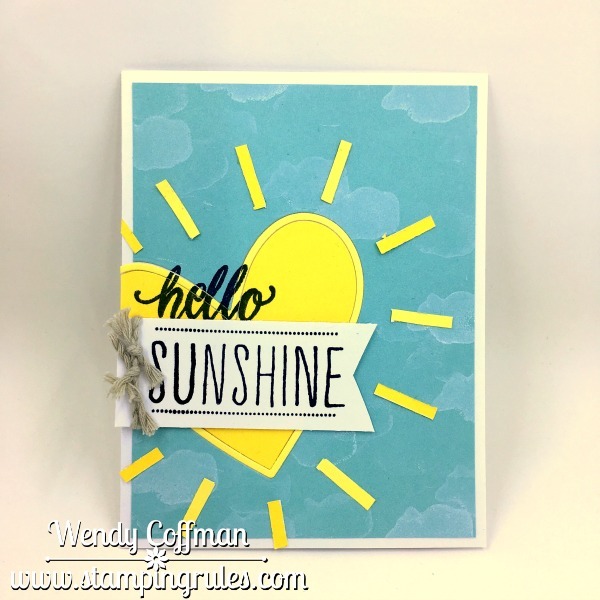 I'm linking this card up to the CAS on Friday Dies Challenge, the Paper Issues Love is in the Air Challenge, and the Heart 2 Heart Love is in the Air Challenge. 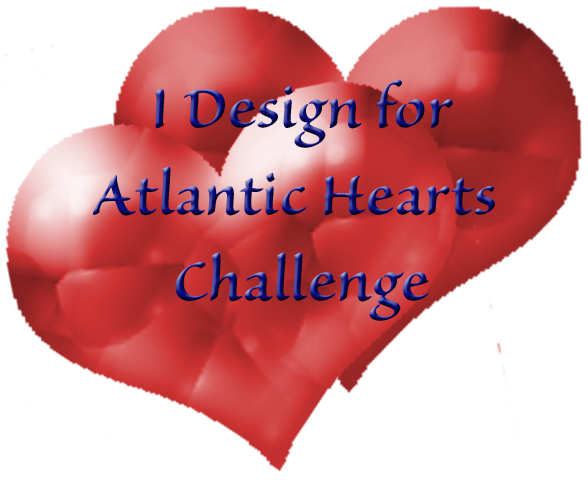 Don't forget, you still have a couple of days to enter my Atlantic Hearts 250th Sketch Celebration giveaway, too. Thanks for stopping by!